Whether you have experienced a mild or chronic case of depression, being a bit blue at times.. It will help you to get outside and let the sunshine in your life—literally. While it may be difficult to take the steps and open the door, there is mounting evidence that spending time in the sunshine of the great outdoors will help alleviate your depression. By opening your eyes to the sunlight, your optic nerve signals to your brain to produce serotonin, which releases good feelings and combats feelings of stress. The many prescription medications that boost serotonin levels may take weeks to make changes in the body and may cause a host of unwanted side effects. 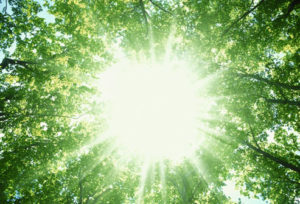 Yet, simply opening your eyes to the bright sunlight can help boost your serotonin levels in a shorter amount of time. It’s common knowledge that exercise is a powerful tool in the fight against depression and anxiety. It releases endorphins and contributes to an increase in confidence. But if you’re still feeling a bit blue after an hour in the gym, try moving your workout to outdoors. Go for a walk or run on an outdoor path or do circuits using playground equipment at the neighborhood park and double the benefits of using exercise as a way to fight depression. Is a vitamin D deficiency making it harder for you to overcome your depression? There is growing research that a lack of vitamin D may cause, or worsen, depression. Luckily, boosting your vitamin D can be as simple as spending 30 minutes outside in the sunshine. Just be sure to be careful in your approach and not spend it in the middle of the day when the sun is at its peak. You have to balance out the need for vitamin D with the risk of skin cancer from sun exposure. You must go outdoors, simply sitting by a sunny window won’t let your body absorb the full benefits of the sunshine. Skip the sunscreen—sometimes. The UVB protection offered by a broad spectrum sunscreen will prevent your body from absorbing all the benefits of the sunshine. This fact means that you should wear a hat, avoid going out during the peak of the day and save sunscreen for extended exposure to the sun. Invest in artificial light if you live in a dark and cold climate or can’t get outside due to mobility issues. Sitting under a bright light will give you many of the same benefits as the sunshine without having to depend on the weather forecast. You only have to spend five minutes outside to reap the mood-lifting advantages of the sun. Simply take a walk around your block, drink your morning cup of coffee or read a book on your front stoop and enjoy the healing warmth of the sun for a short bit. 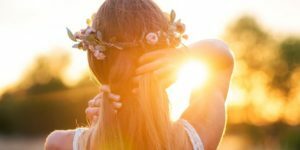 One of the truly beautiful aspects of getting outside and letting the sun help lift your depression is that it is a truly complementary healing practice. 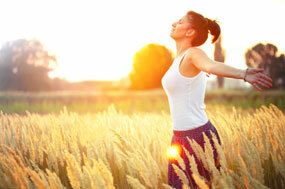 You don’t have to stop medications or stop therapy given for you to find healing in the sun. Previous Should You Give Your Past A Second Chance?